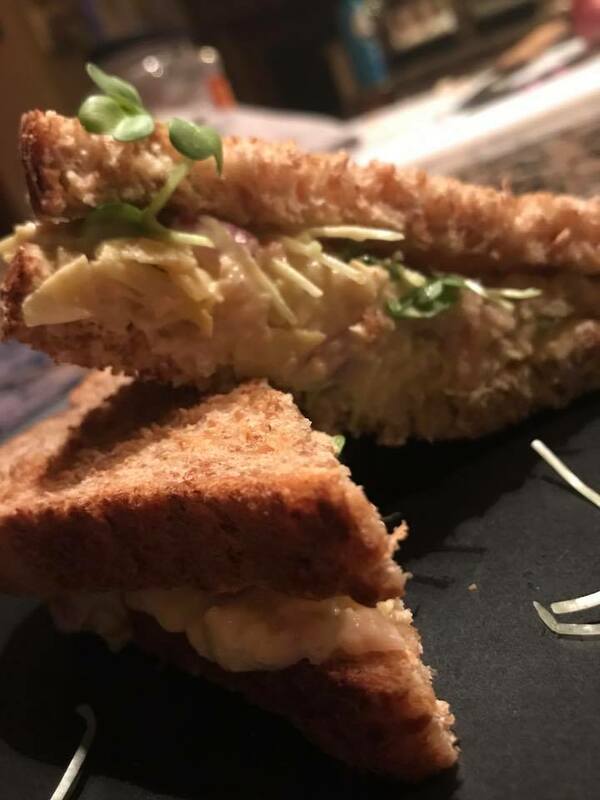 If you love a tuna sandwich then you will love my vegan toona sandwich, and it packs more of a nutritional punch! The base of this "toona" is artichoke hearts and white beans. You may be shaking your head right now but stay with me here. The beans melt in your mouth while the chopped artichoke hearts give you more of the mouth feel that you would expect from tuna. Now let's talk about the benefits of these 2 plant based ingredients. Artichokes are a superfood in every sense of the word! They have more antioxidants than many other foods traditionally considered to be antioxidant-rich such as dark chocolate, blueberries and red wine. Mash the white beans, add in the chopped artichoke hearts- mix this up and then add in everything else.